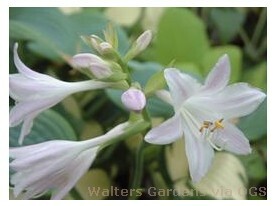 Product Information : One of few blue hostas with fragrant flowers. Chalky blue, heart-shaped leaves have a beautifully smooth texture. Light lavender flowers emerge from darker buds.